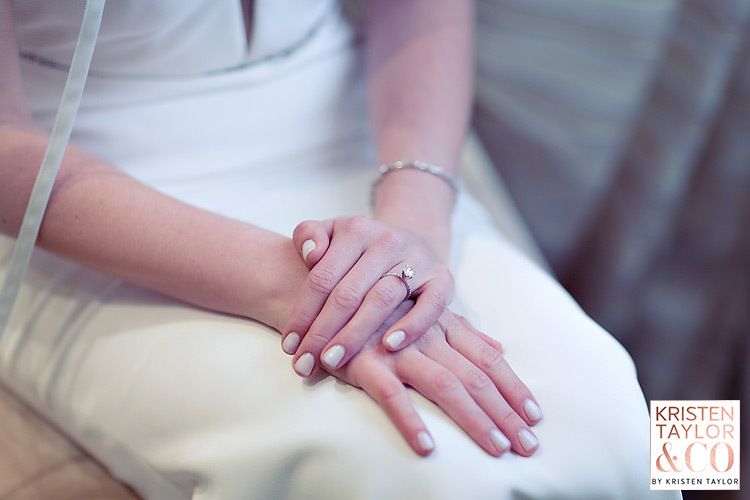 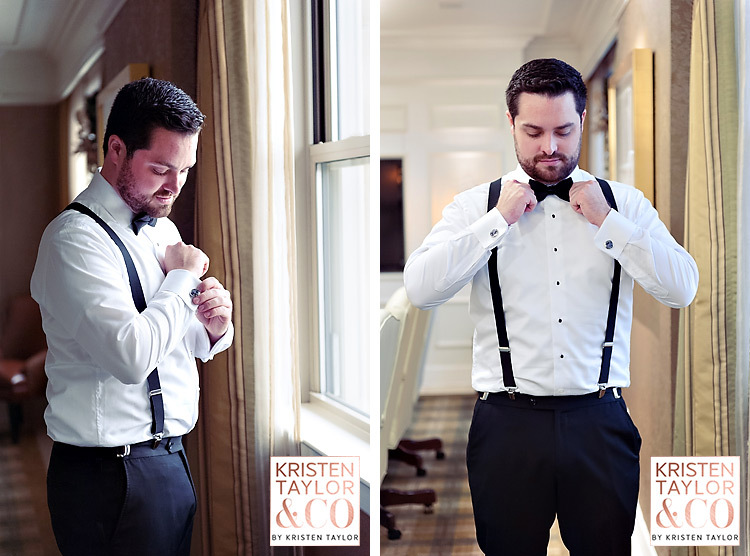 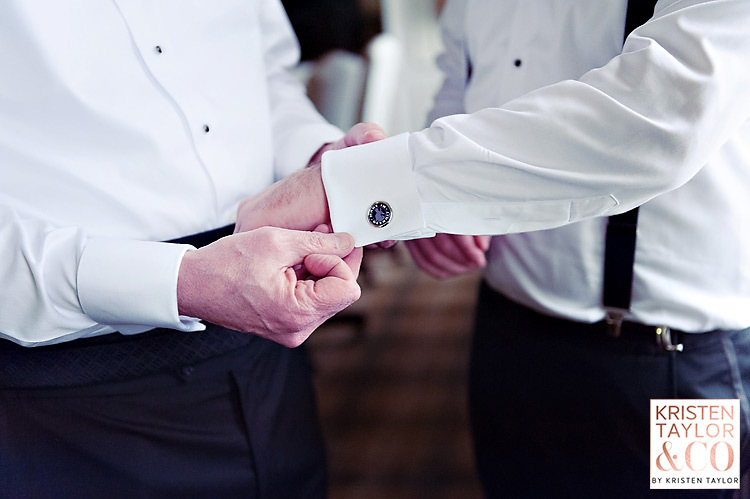 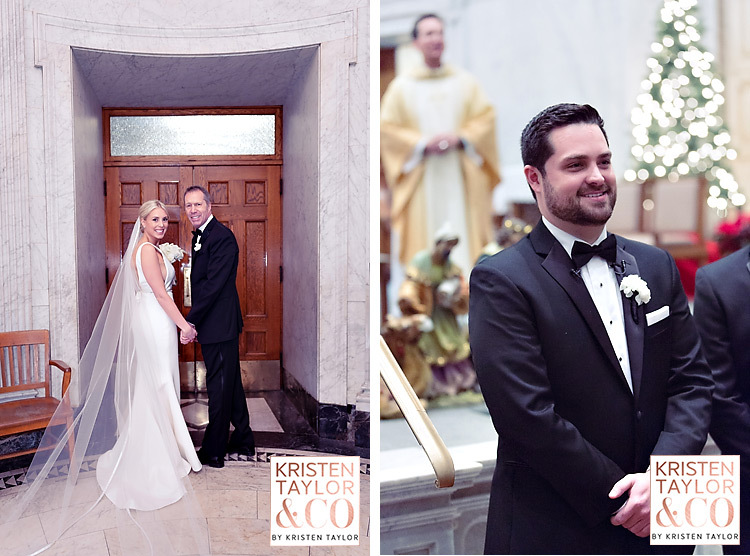 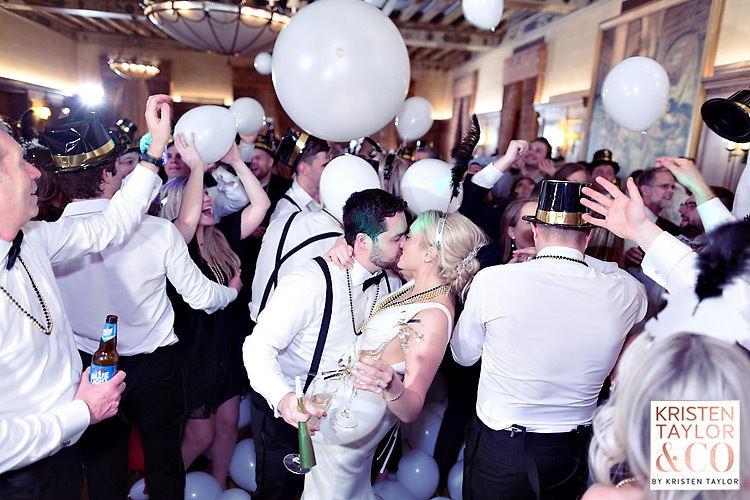 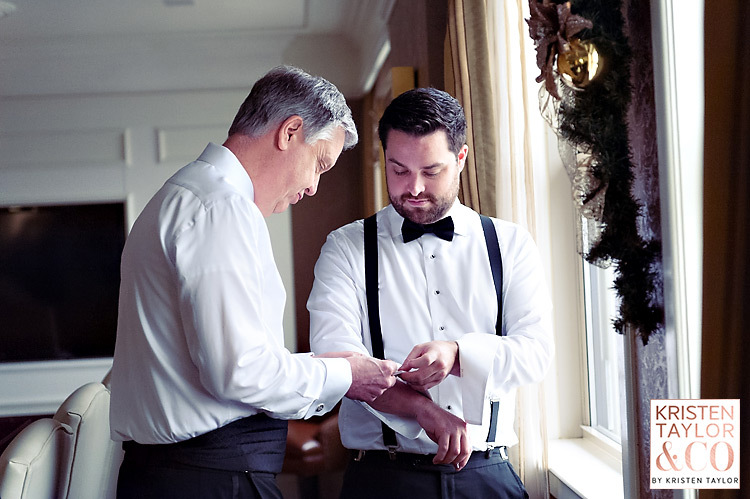 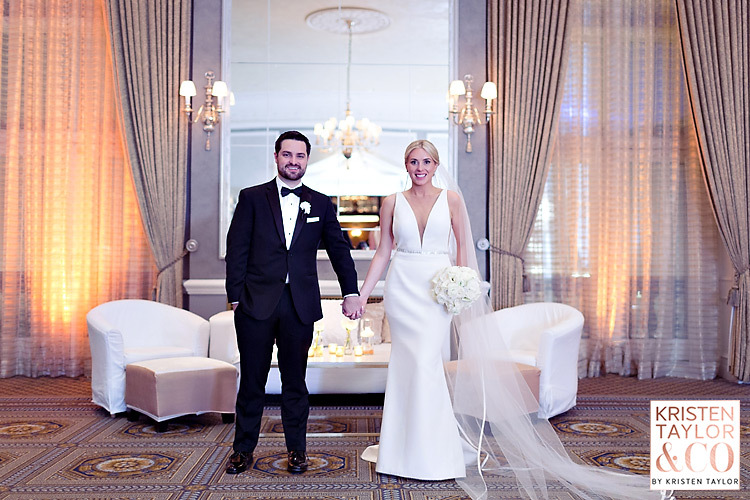 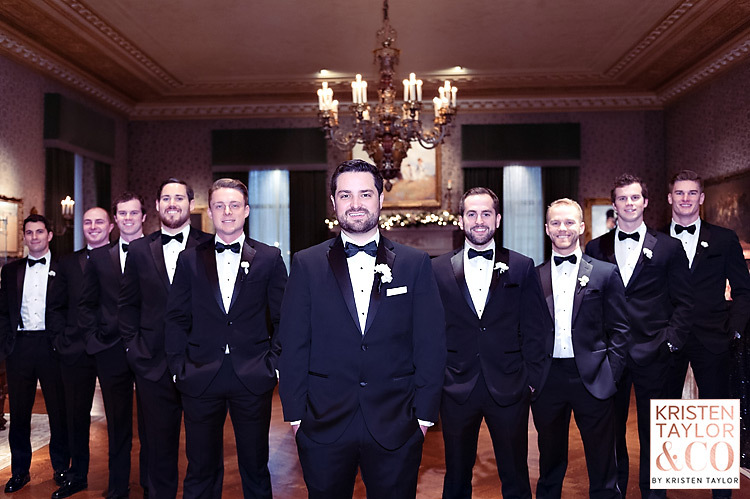 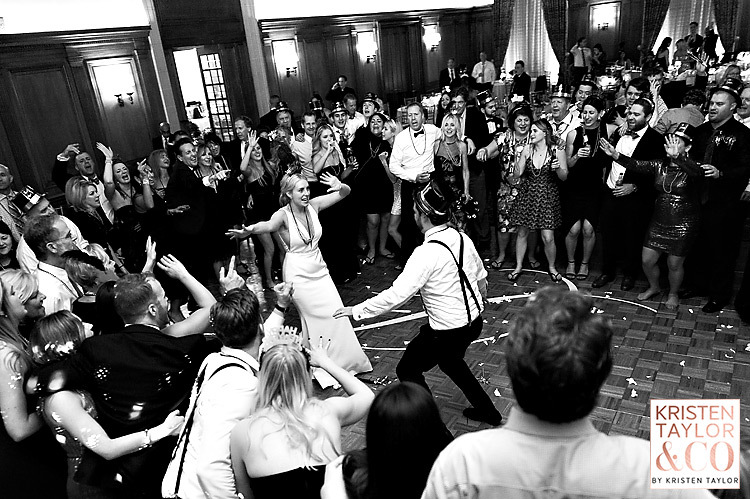 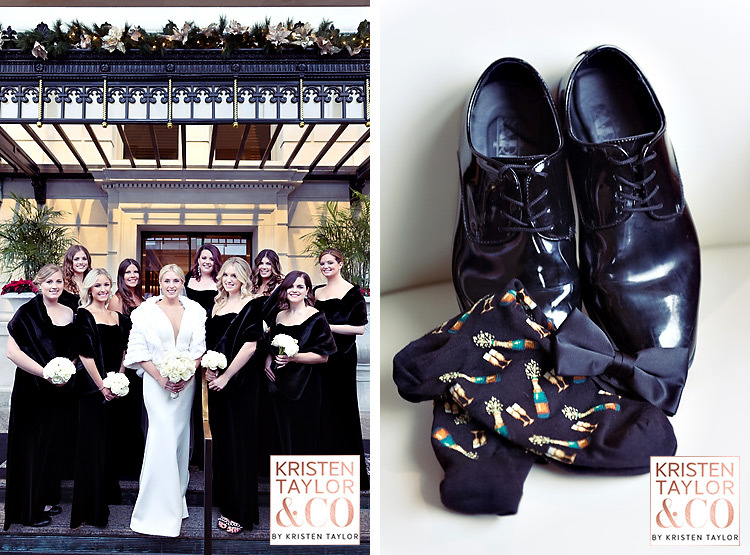 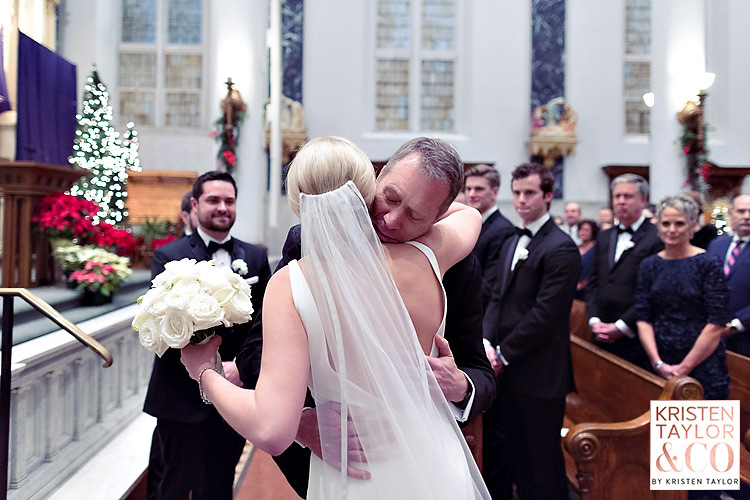 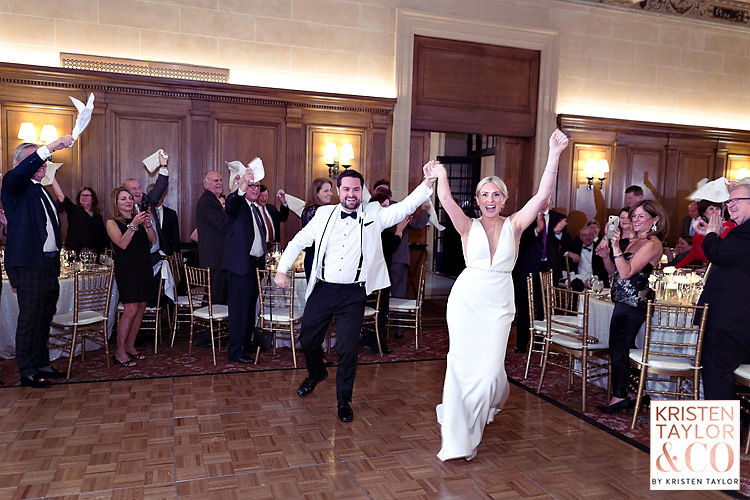 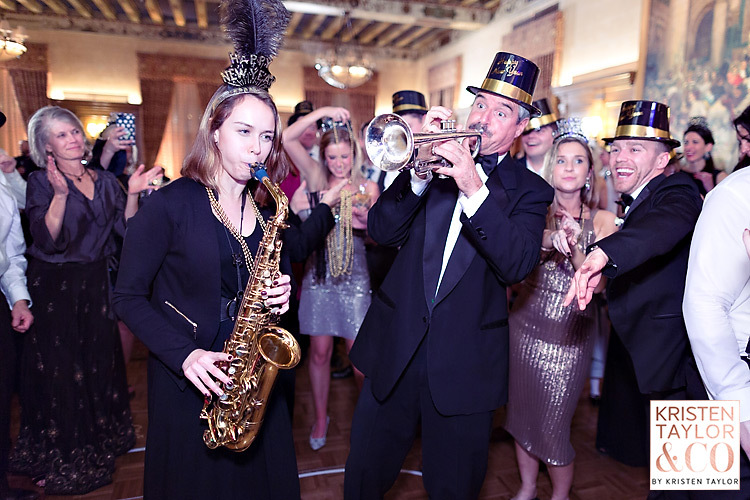 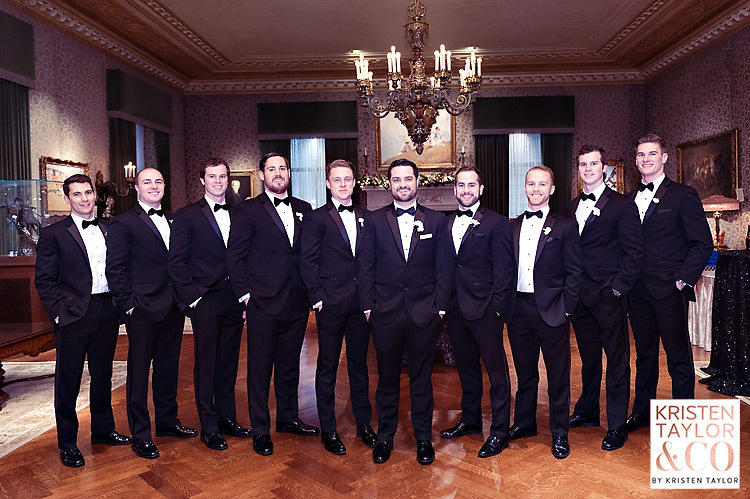 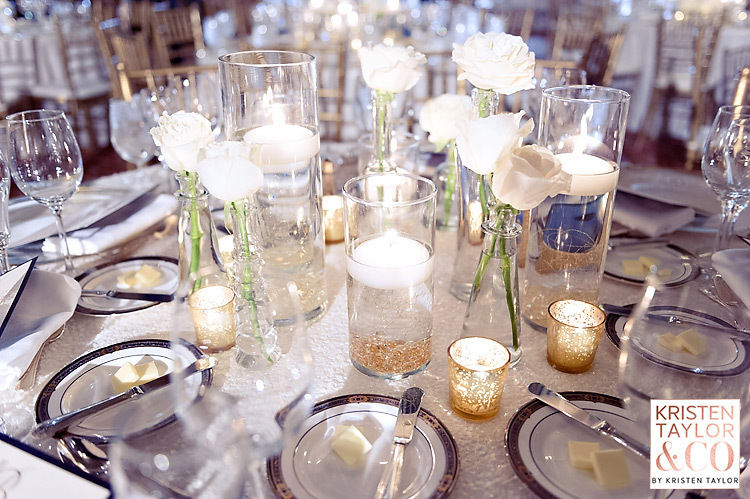 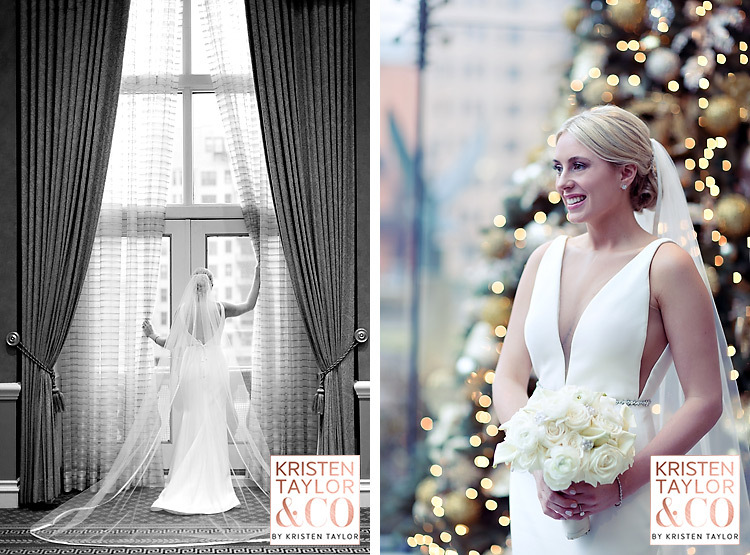 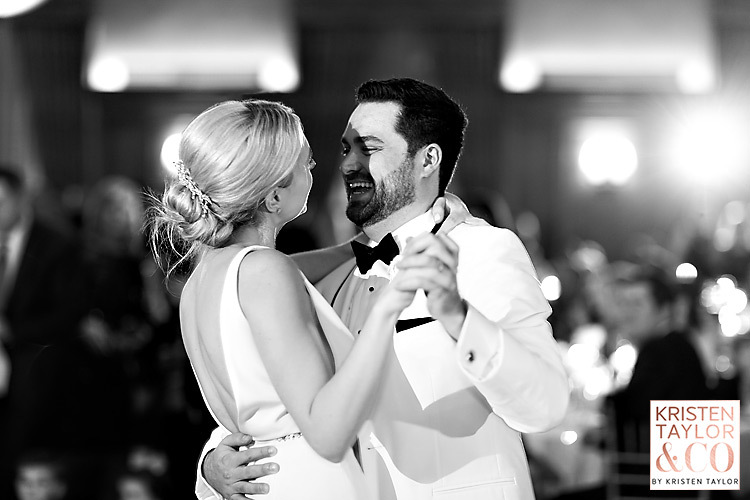 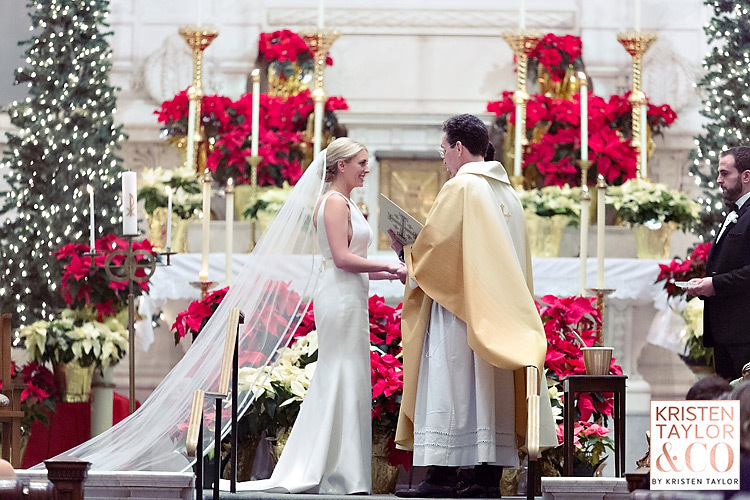 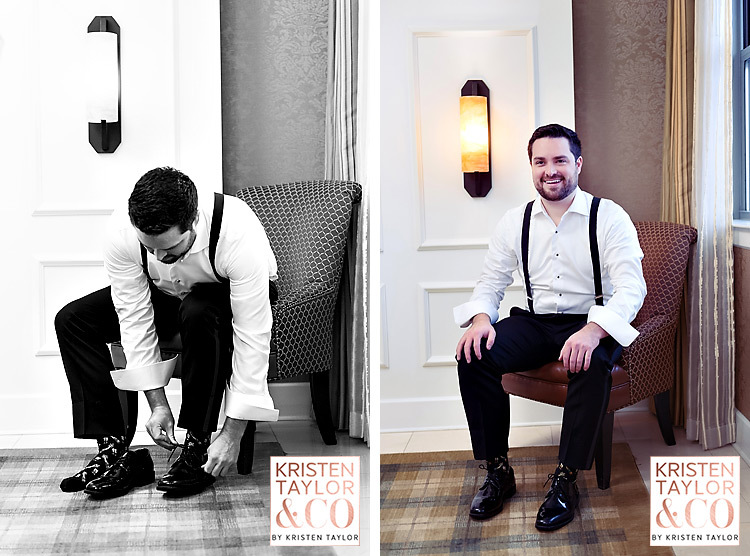 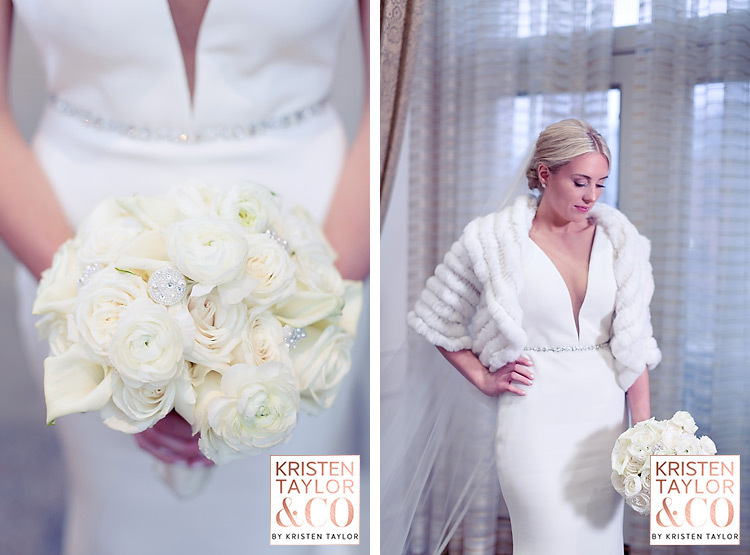 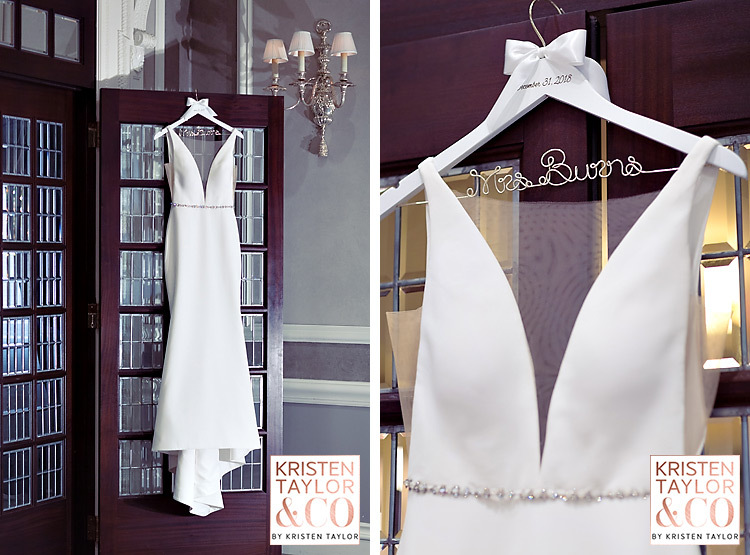 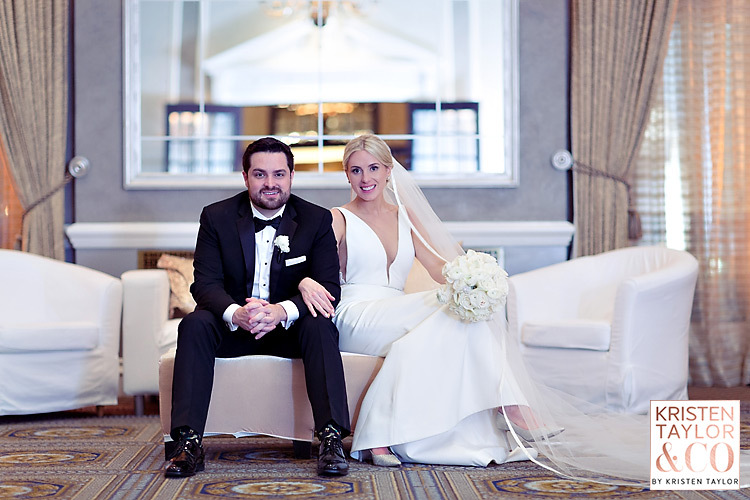 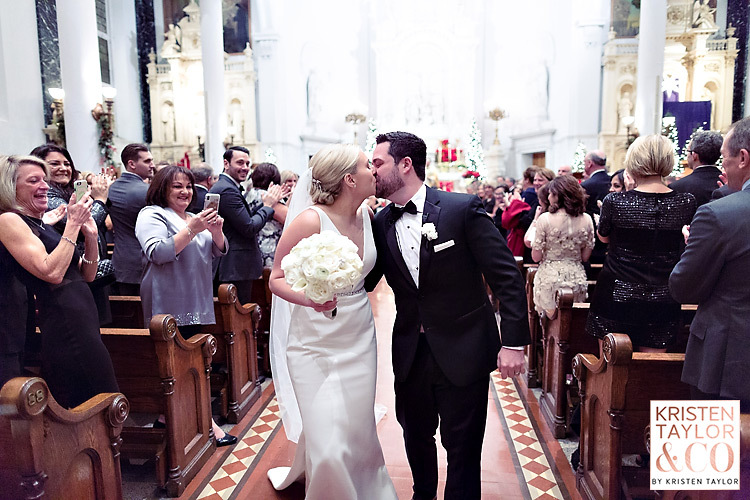 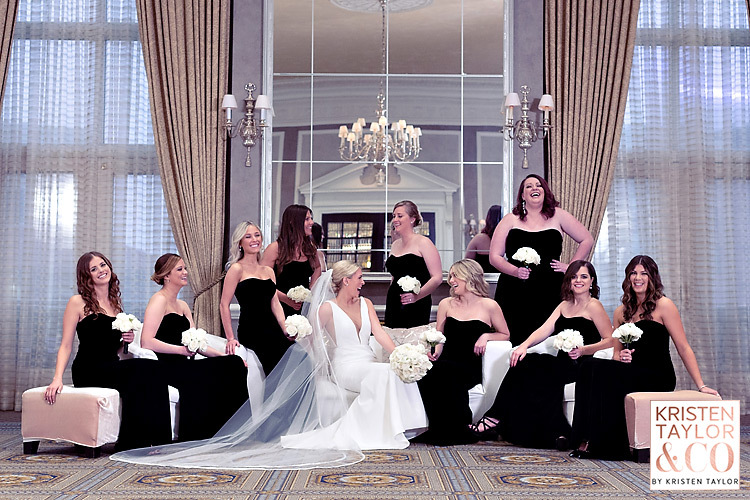 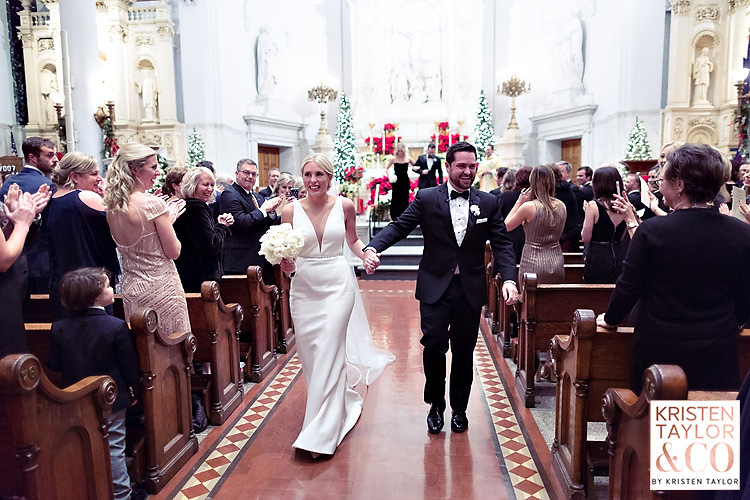 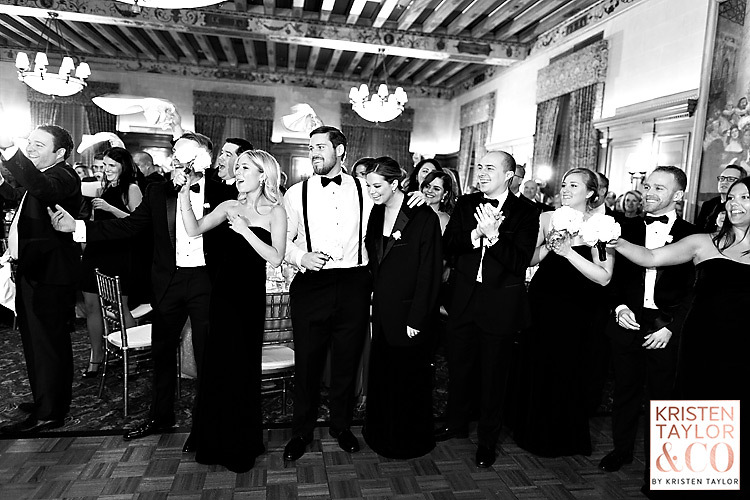 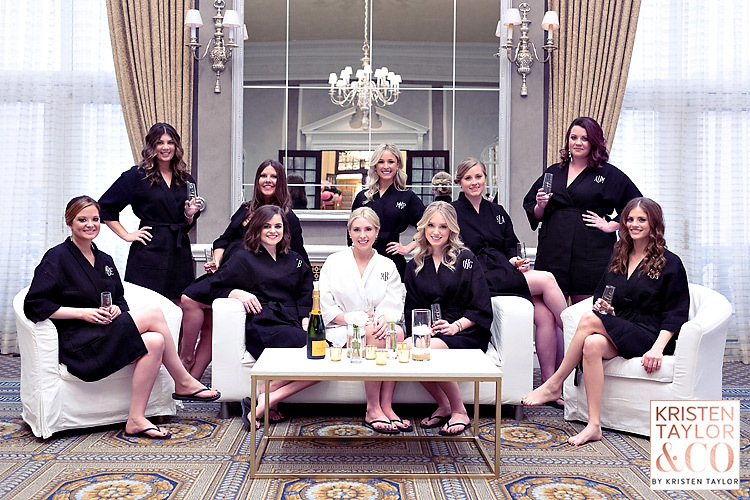 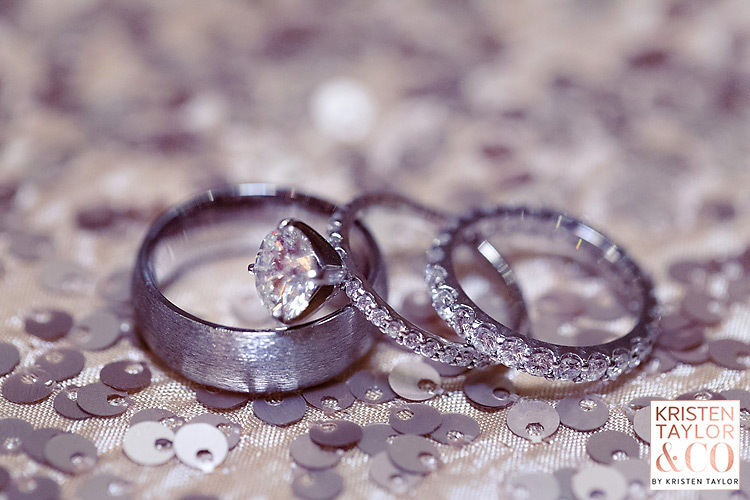 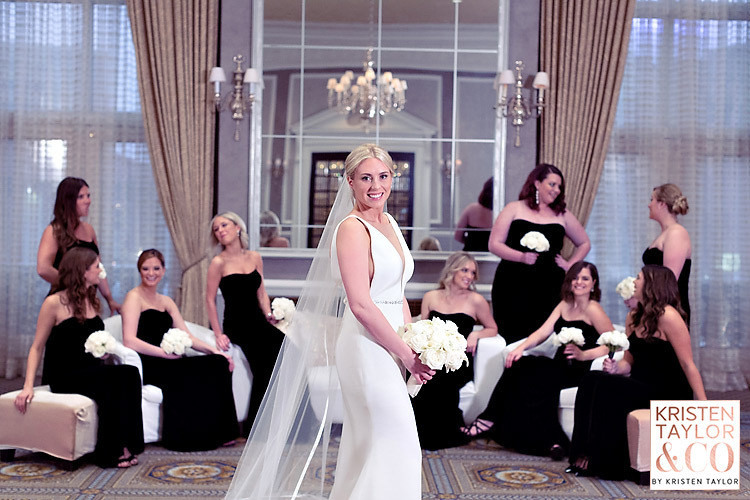 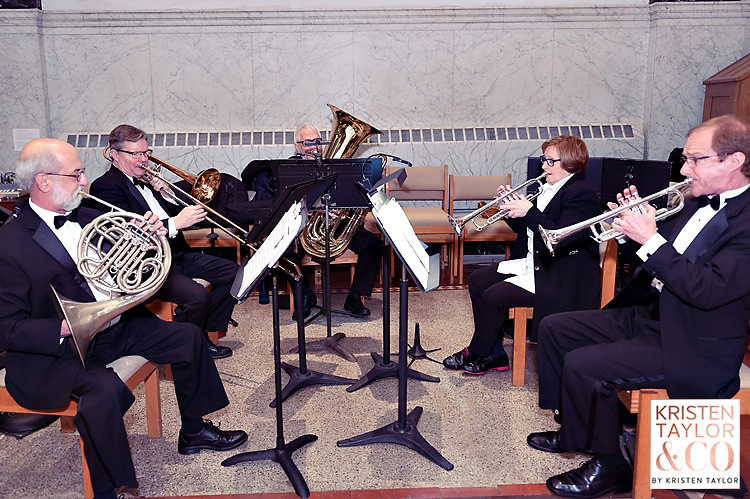 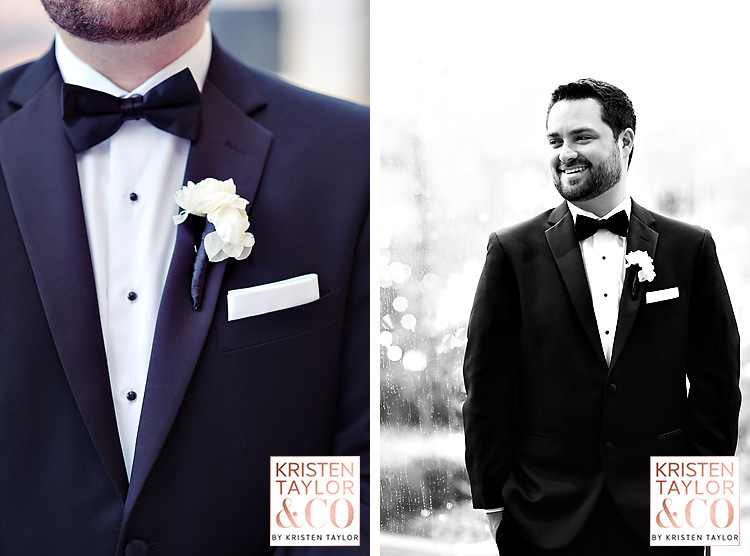 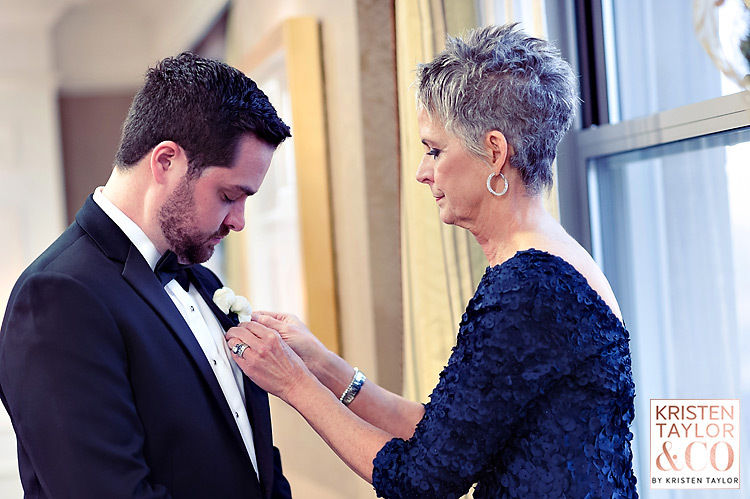 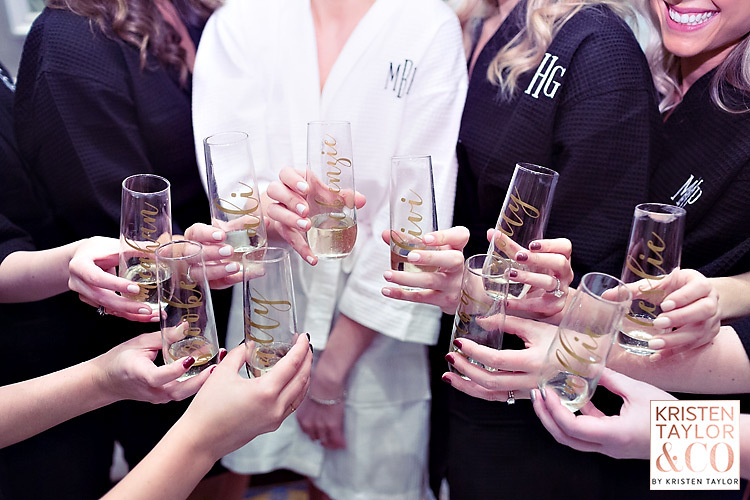 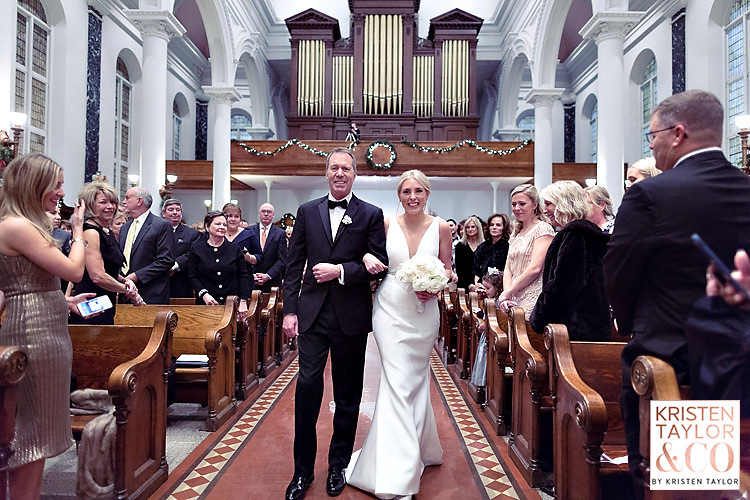 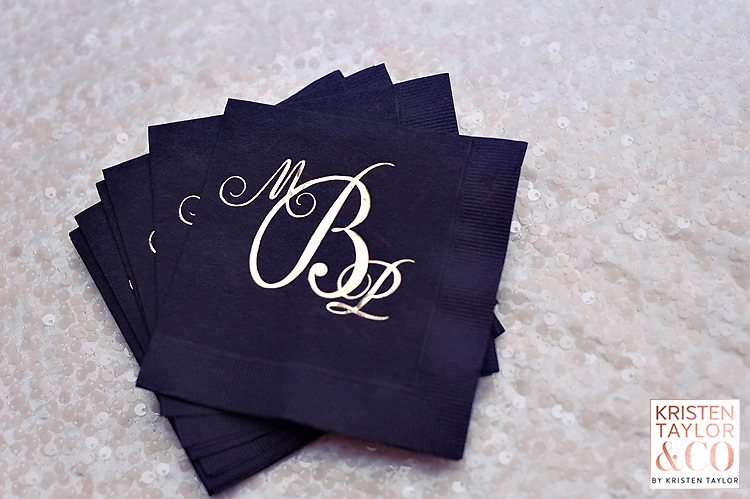 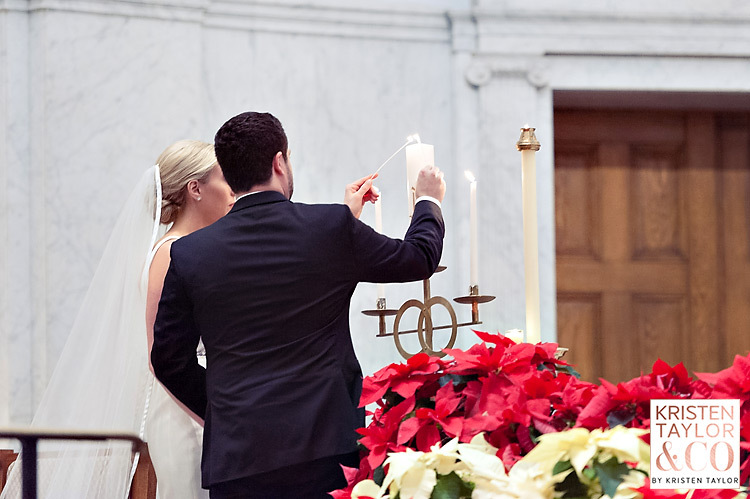 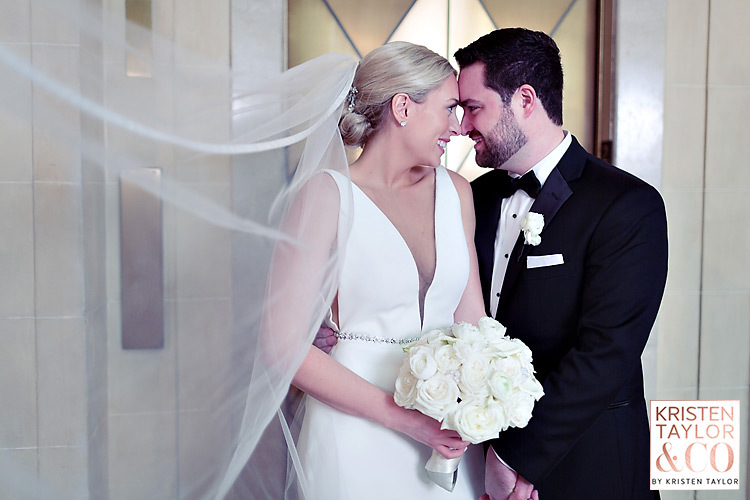 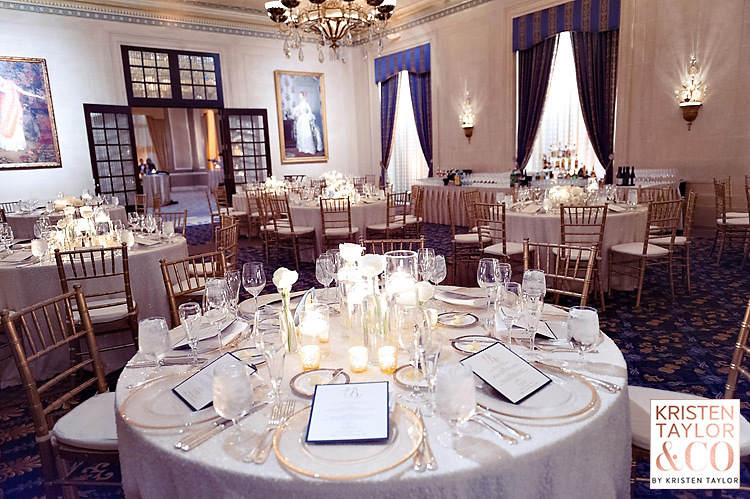 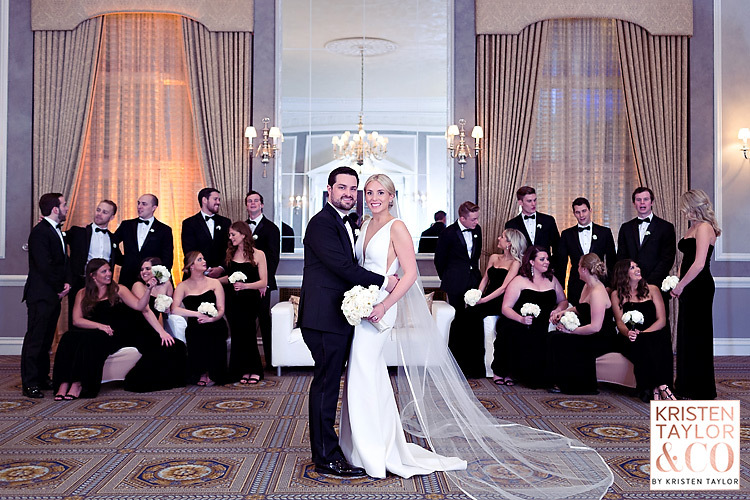 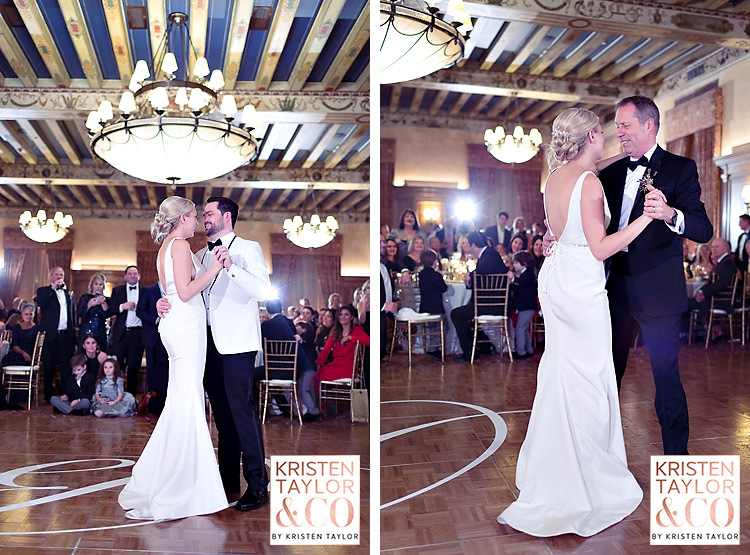 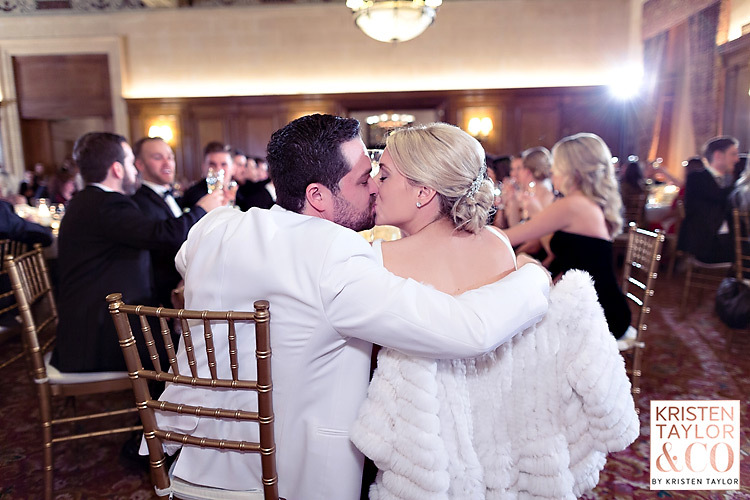 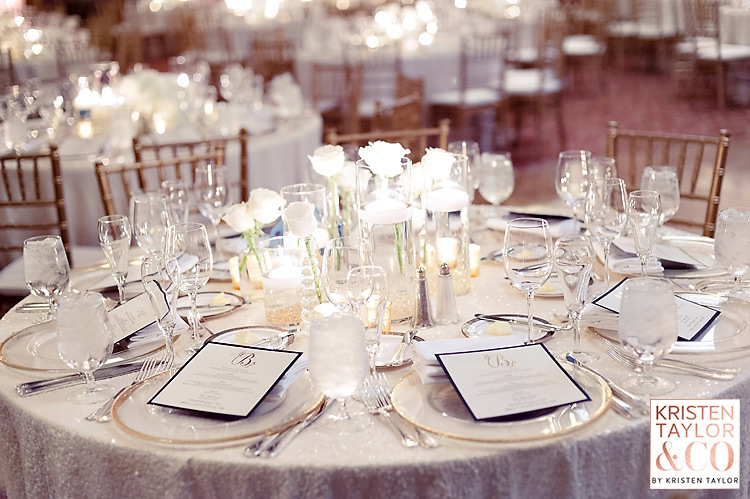 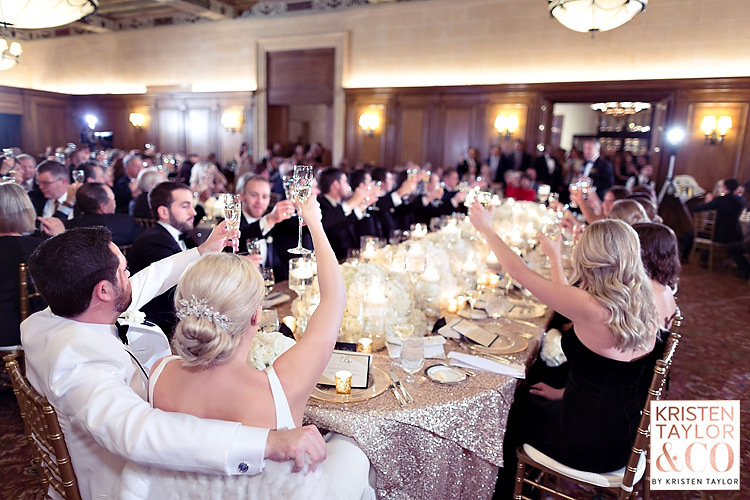 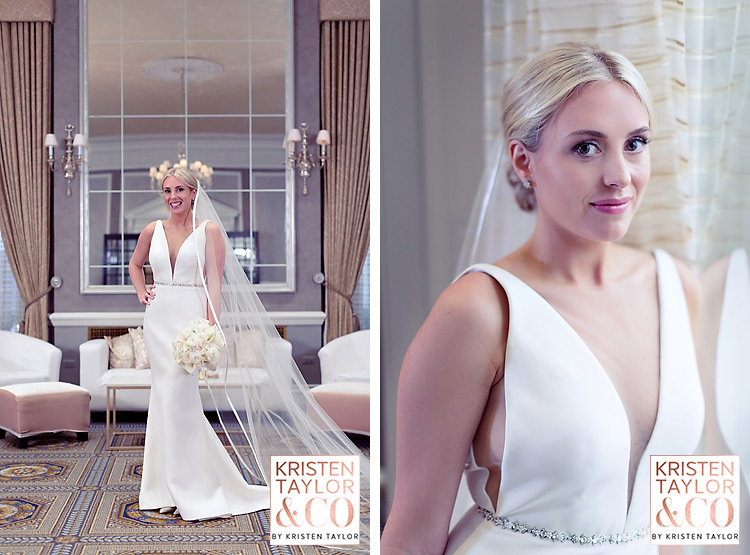 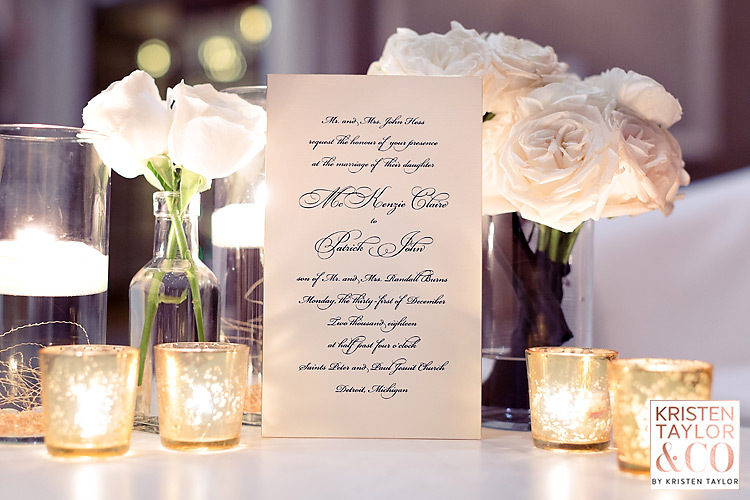 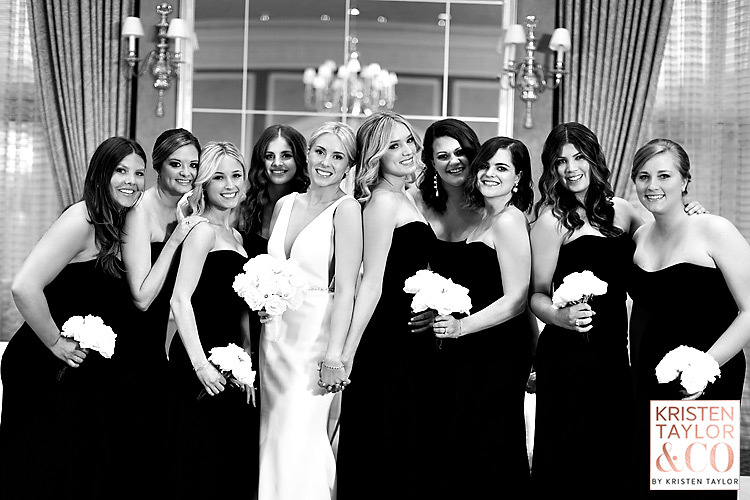 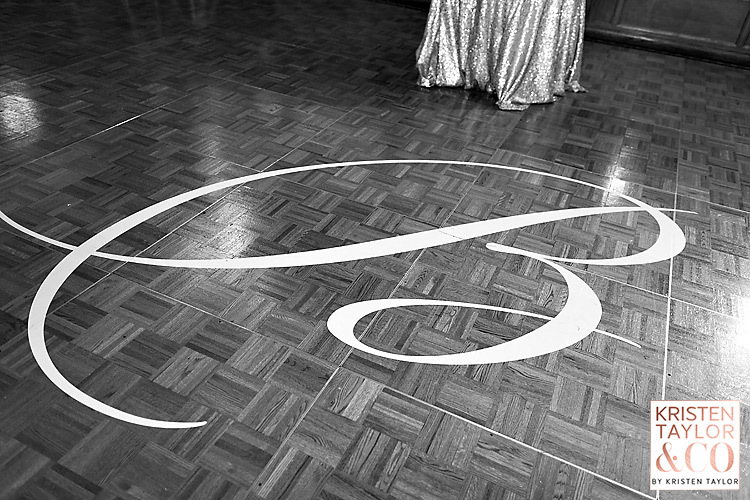 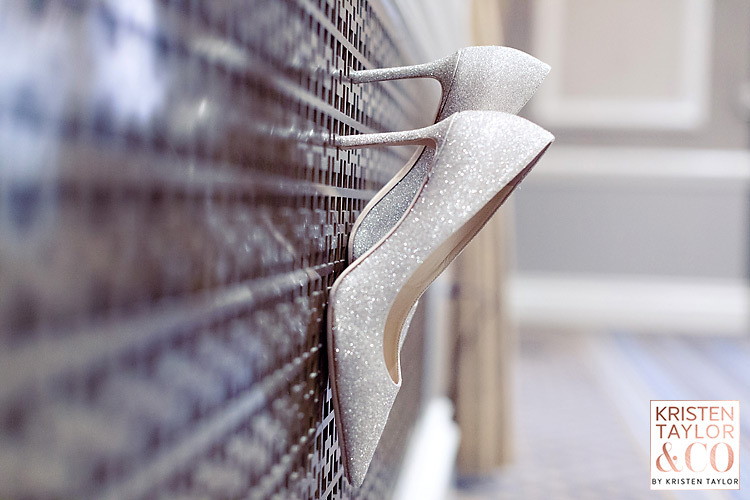 New Year’s Eve weddings are AWESOME, and McKenzie and Pat’s was no exception! 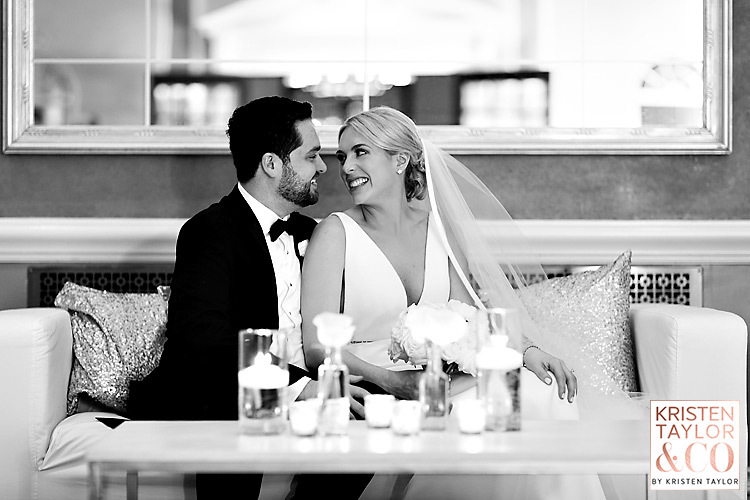 I knew it was going to be a great wedding the minute I met them because they’re so gorgeous and nice, but it even exceeded my expectations. 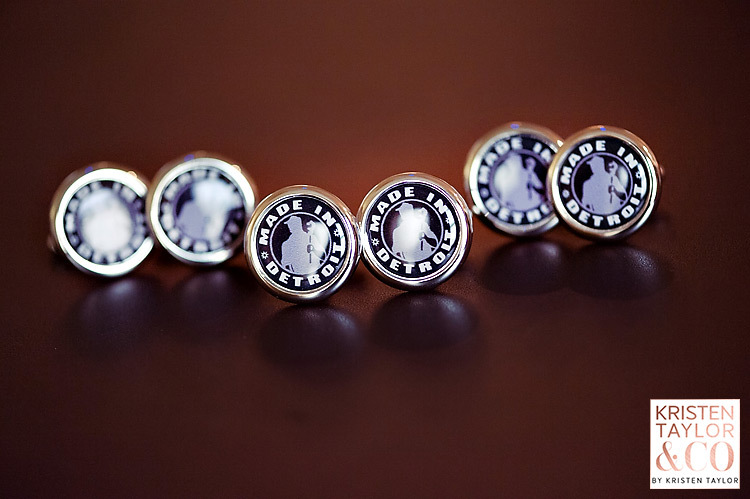 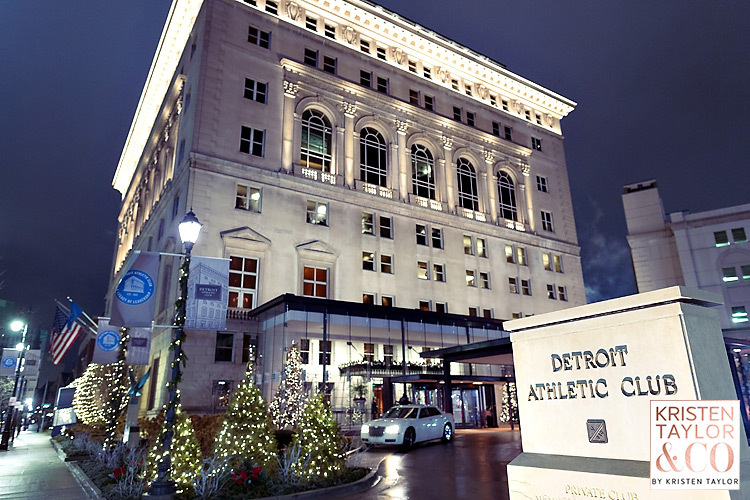 We began the day at the Detroit Athletic Club where everyone got ready. 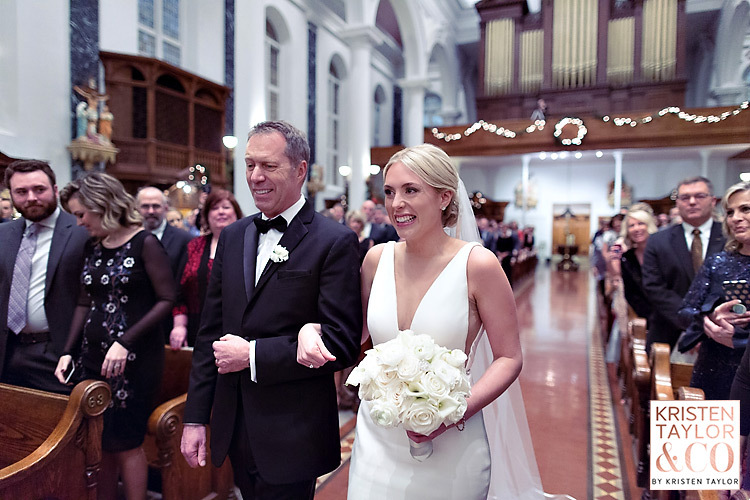 McKenzie looked gorgeous in her sleek gown, and I think she looks a lot like the actress Naomi Watts (except the younger version of her). 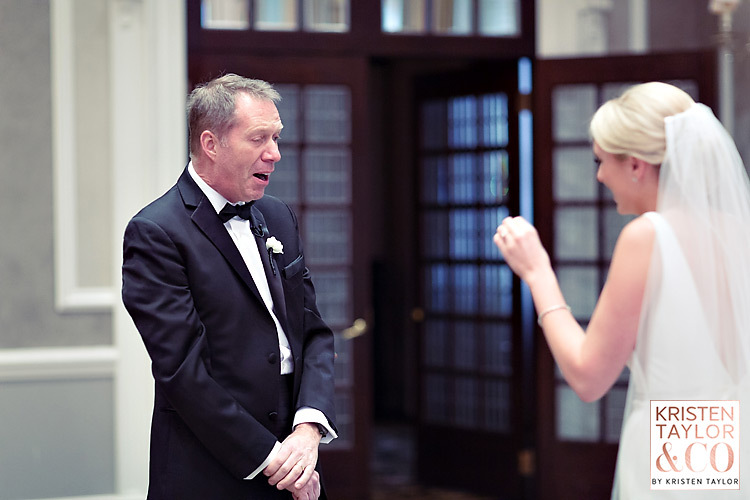 The reaction by McKenzie’s mom and sister when McKenzie’s dad first saw her was super sweet (and what a great family they have!!). 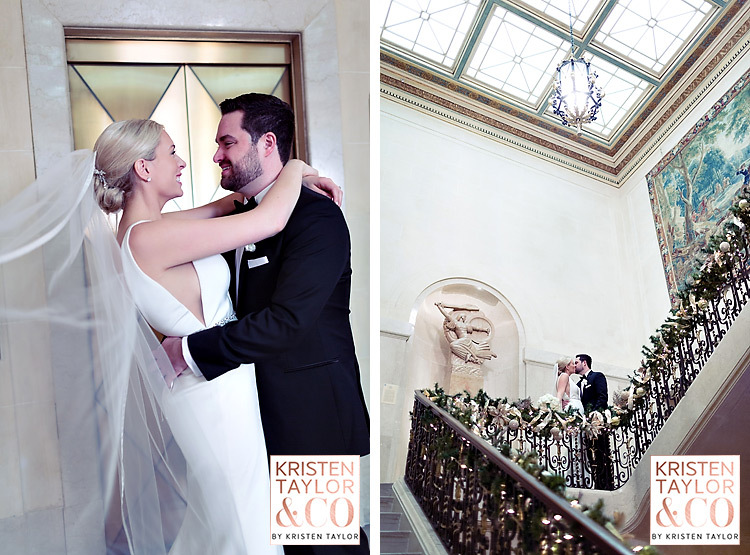 The entire DAC property is stunning, but when McKenzie told me that the Georgian Room is her favorite spot there, I knew we shared a similar style because it’s my favorite room too (grey tones, clean lines, symmetry, mirrors, french doors, chandeliers, etc.). 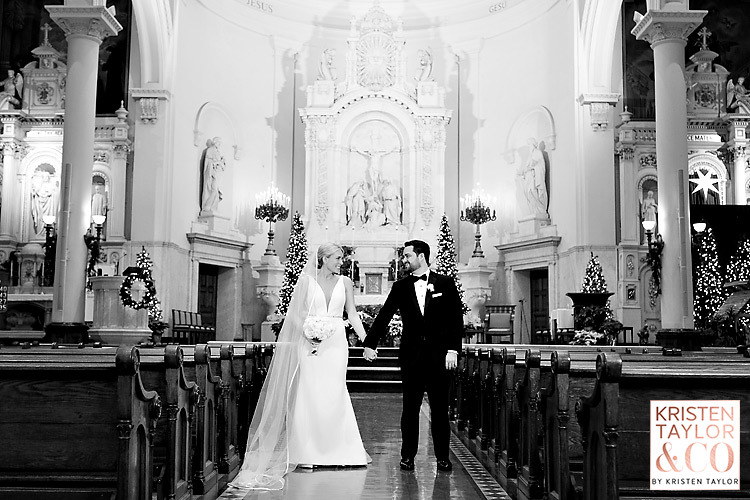 So we did a lot of the photos in the Georgian Room, which was perfection, and then we headed off to the church, Saints Peter and Paul. 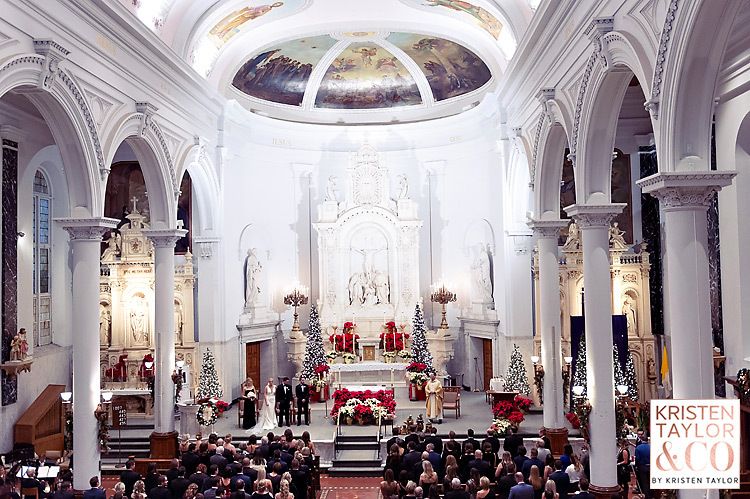 I really love this church because of its white ceiling and pillars, unlike most Detroit churches that have a lot of dark wood. 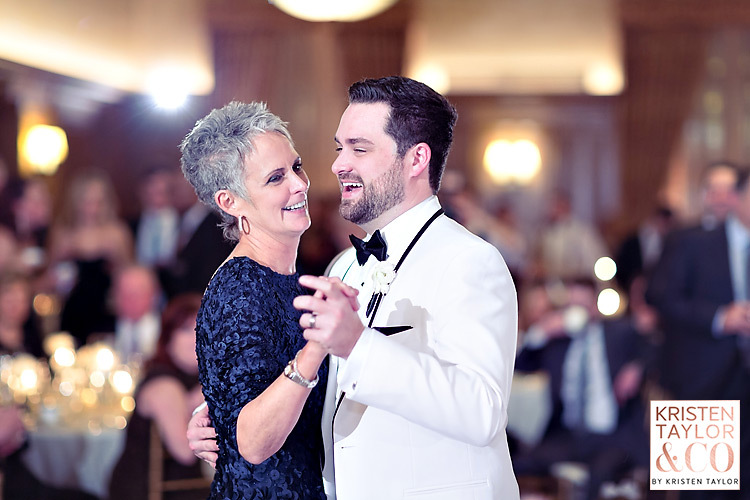 Their ceremony was absolutely beautiful and it’s adorable how Pat looks at McKenzie. 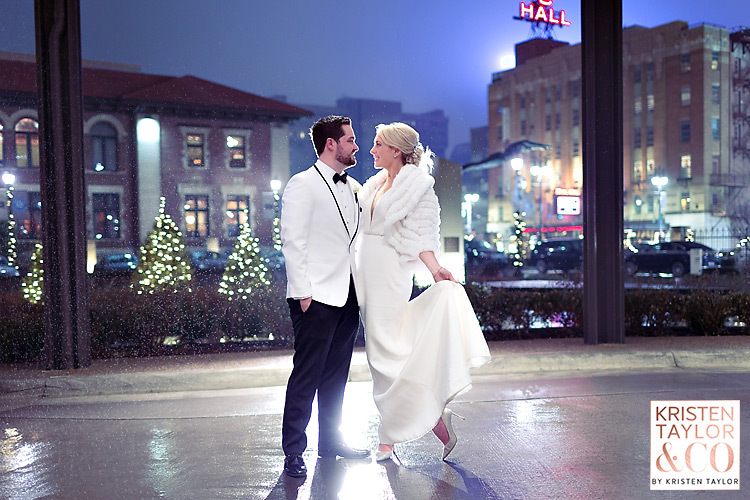 Then we headed back to the DAC for some more photos and for the start of their super fun reception! 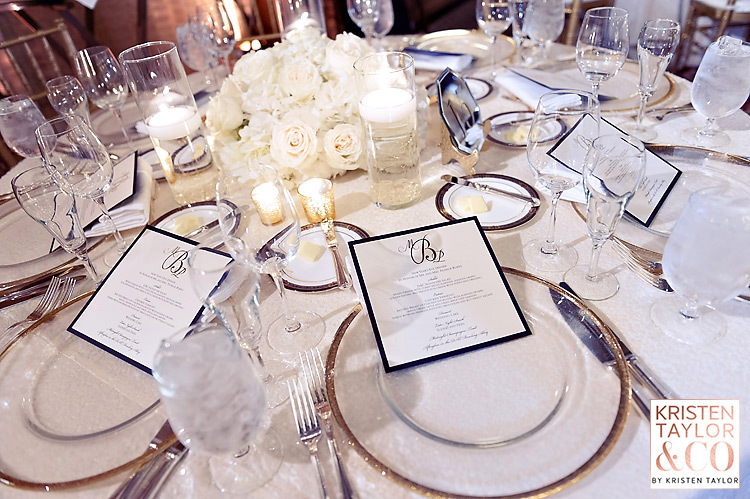 Their decor was gorgeous with white, black, and gold (very clearly staying away from holiday colors or themes). 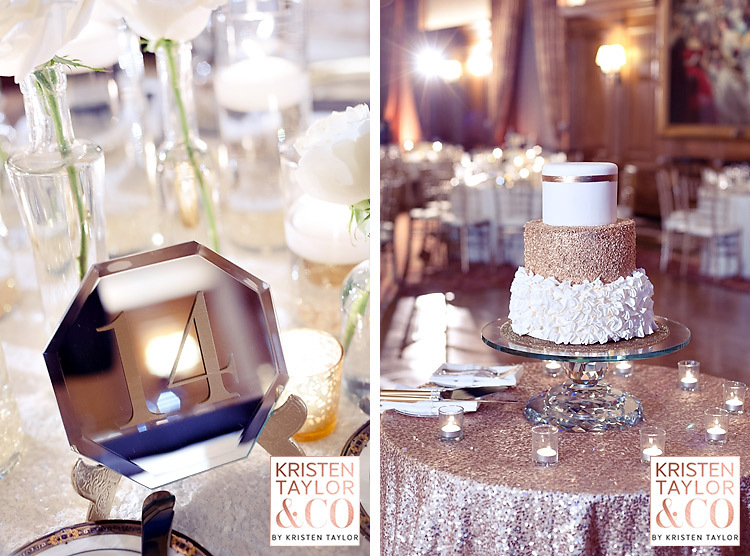 I really loved their three-tiered gold and white cake with fun textures… well done, DAC! 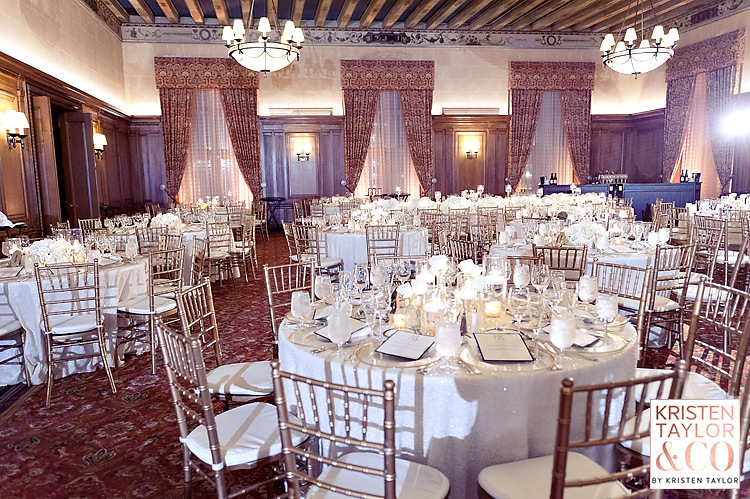 Emerald City Designs always does a spectacular job with the decor and flowers, and as usual they did a great job at this wedding. 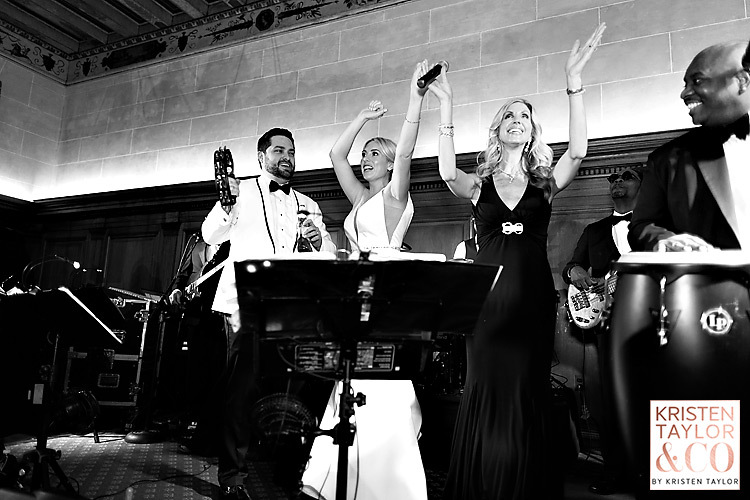 And it’s always fun to work with Evis of Visi Production and the Chateau Band. 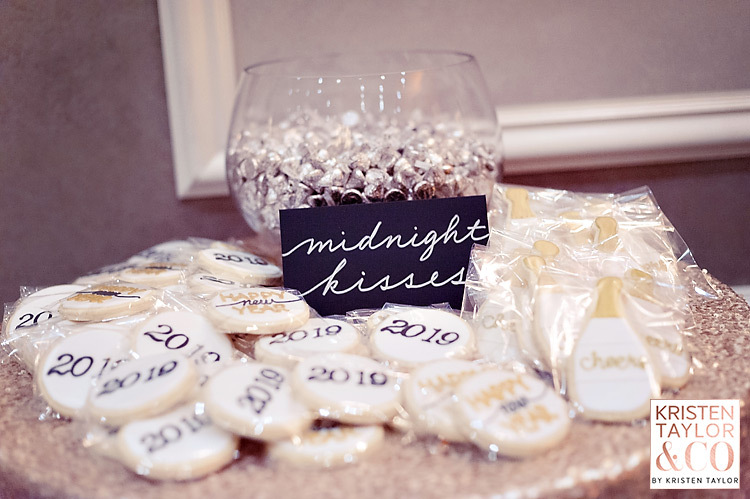 McKenzie and Pat’s awesome friends and family kept the party going strong, and the NYE countdown and balloon drop was incredible. 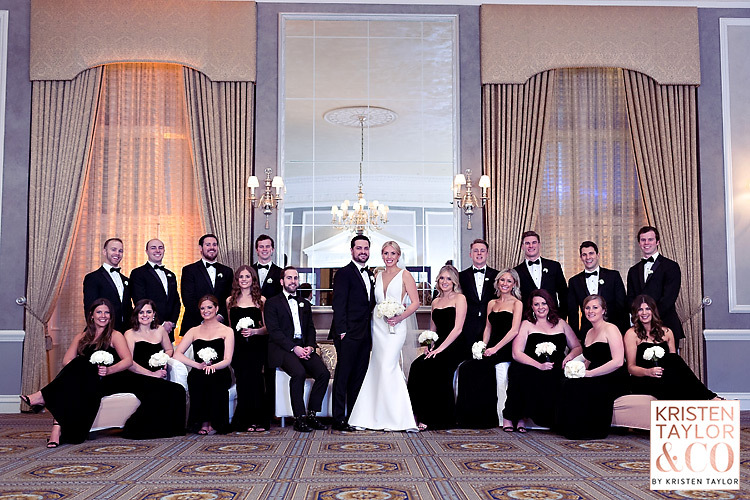 Congrats to all who got to attend this amazing wedding, and super congrats to McKenzie and Pat! 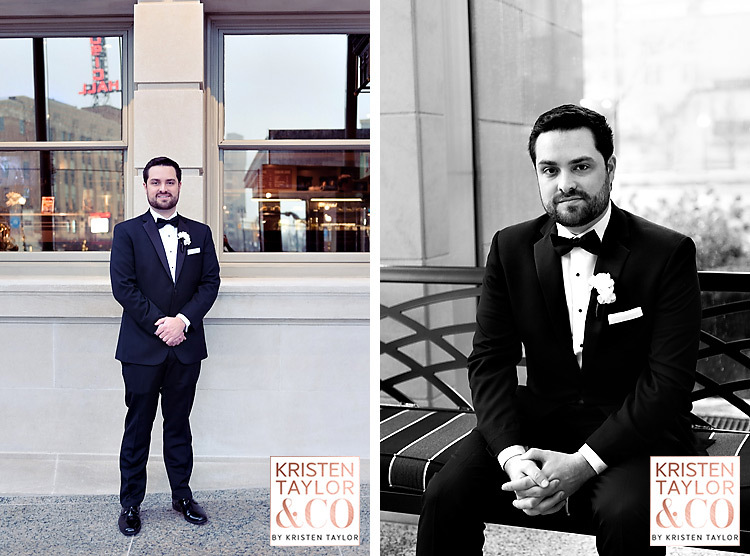 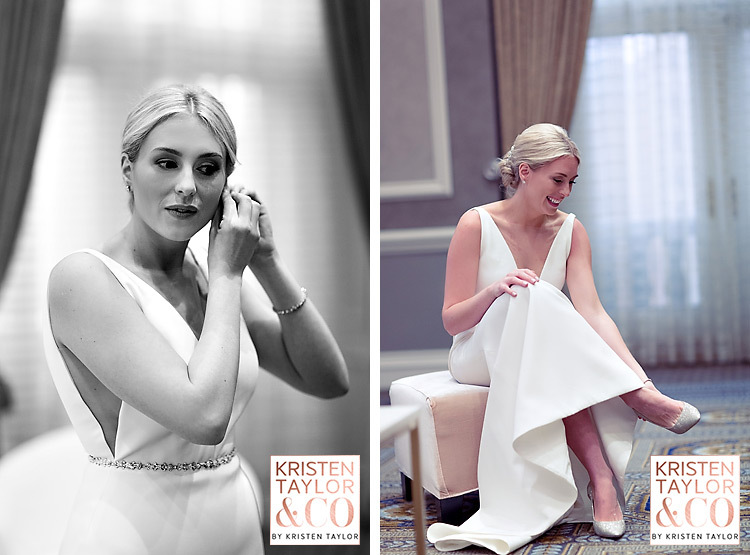 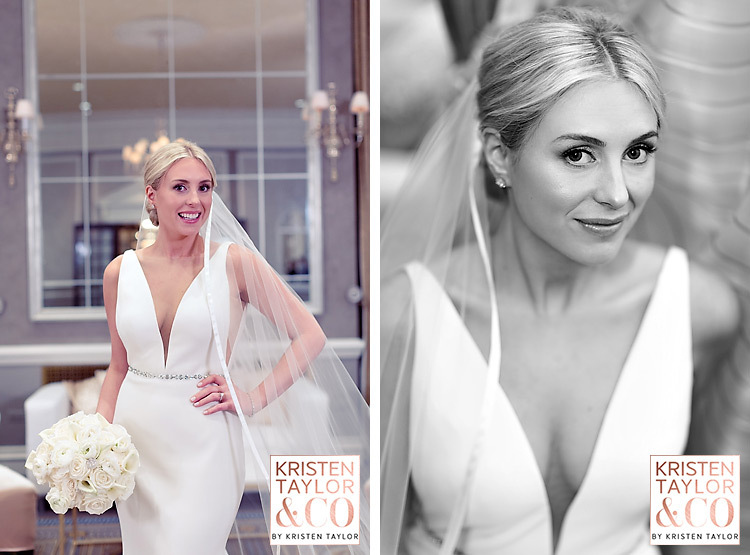 ©2019 Kristen Taylor Photography, All rights reserved.